The availability of Galaxy S5, Gear 2, Gear 2 Neo and Gear Fit wasn’t the only pleasant surprise of the month. It looks like Samsung has another one up in its sleeve, because another ‘Unpacked’-like image with a heavy emphasis on the letter ‘K’ has come up to the surface. 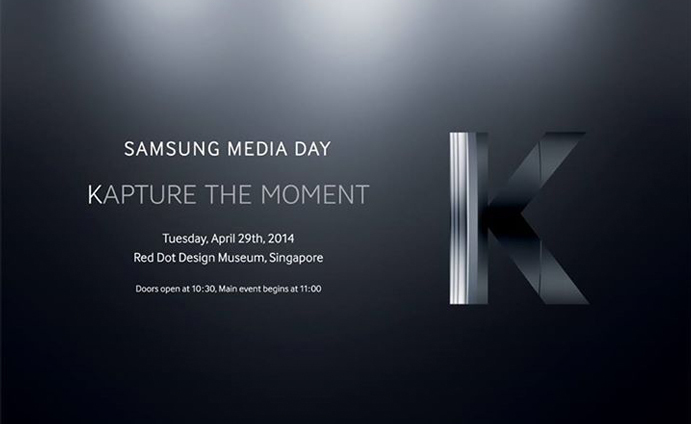 On 29th of April 2014, it is speculated that Samsung is going to hold a media day at the Red Dot Design Museum in Singapore. If you happened to be in Singapore on the last Tuesday of the month, the doors will open at 10:30am, so plan your schedule accordingly!